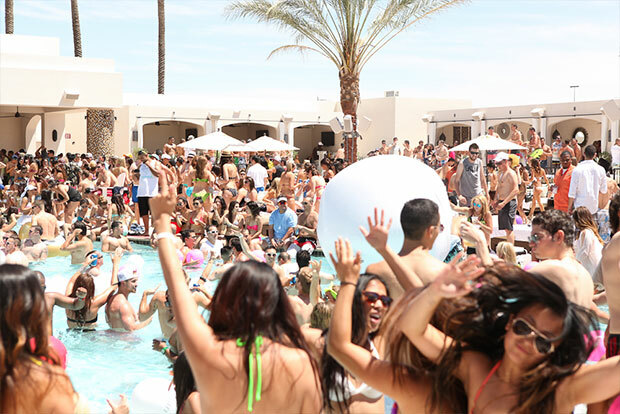 Located at Mandalay Bay Resort & Casino, Daylight Beach Club is the place to go when the weather gets hot. 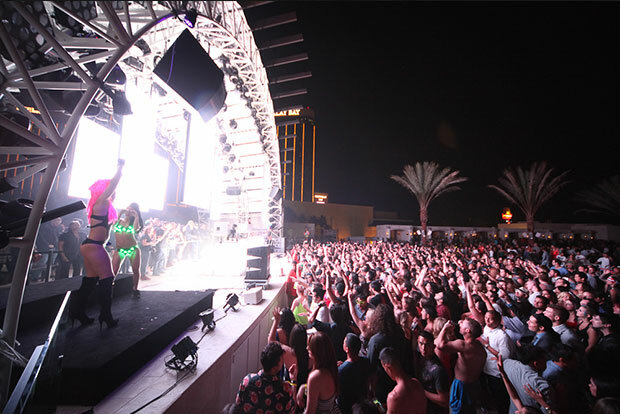 The club first debuted in 2013 and has since become one of the hottest party destinations in Las Vegas. 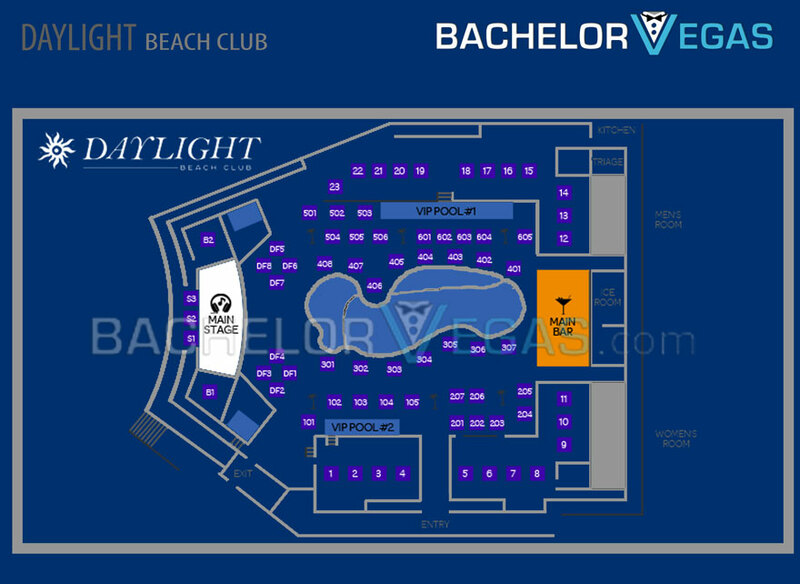 Daylight features a 5,000 square foot pool, 70 daybeds, 25 cabanas, 6 LED screens, and some of the top DJs in the business such as Shrillex, Ingrosso, Alesso, Krewella, and Nicky Romero. The club also offers luxurious bottle service to those who desire a VIP experience while in Vegas. Daylight is open Thursday through Sunday and is exclusive to adults age 21 and older. Bottle service at Daylight Beach Club will get you and your group of friends a private VIP table, a dedicated server for the night, and a bottle of your choice. You’ll also get a variety of refreshing mixers, such as club soda, tonic, and cranberry juice. Tables at Daylight start at $500 and go up depending on location, the day of the week, and what events or DJs are performing. Other perks of table service is VIP entry into the club. This means you won’t have to wait in long lines with ticket purchasers. Just bypass the long line and enter the short guest line for VIP members. The massive adults-only pool club resembles a tropical island and has the ability to accommodate up to 5,000 people. You’ll also find a 1,500 square foot stage where events are held over the summer months. 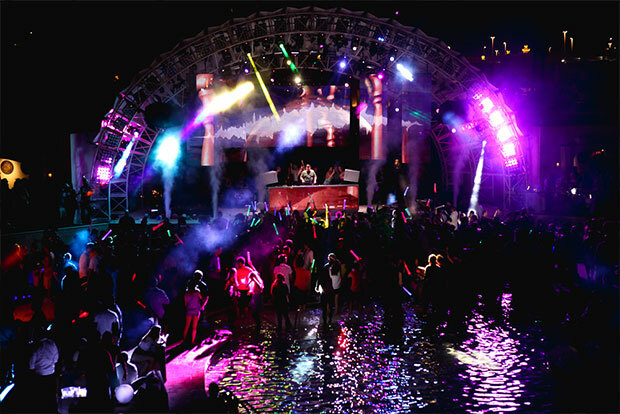 The stage boasts an incredible sound system and is framed by six enormous LED screens that help enhance the ambiance. In all, the club has over 50,000 square feet of open space that allow party-goers to spread out and relax as they tune into the music. While Daylight is closed for winter, come summer and the venue is bustling with people looking to spend the day in the sun. Depending on the size of your party, you can expect to pay between $500 and $10k on table service. There are several options depending on your group size and preferences, including cabanas, daybeds, grand cabanas, and bungalows. Cabanas typically run between $1.5k and $3k while grand cabanas go between $3.5k and $5k. A daybed will cost you between $1k and $2k while a bungalow usually ranges from $5k to $10k. To get a quote for your group, call ahead. If you’re going to lay down some money at Daylight, you may be wondering what table is best. If you’re hosting a large party, you’ll likely want a cabana which will offer adequate room for your entire group. Most of the tables at Daylight offer good views of the stage area but are available at different price points, depending on their proximity to the action. If you want to get close to the stage, there are two stage tables that put you right up close to the DJ. Just know that these tables don’t come cheap. Like most Las Vegas clubs, there are some policies when it comes to purchasing alcohol for your table. Most bottles run between $495 and $525. The amount you must spend on bottles will depend on the size of your group but you can expect to buy at least two bottles for every 10 people in your group. It’s also important to know that the money you spend for your table can also go towards purchasing food. For more information about Daylight bottle service or to learn how you can acquire a VIP experience during your time in Las Vegas, contact us today. 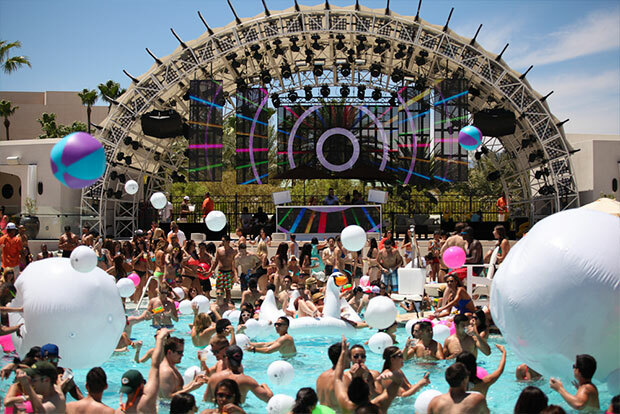 Been to Daylight Beach Club?